This post contains spoilers for a recent comic book which you have probably heard about if you have looked at the internet in the last day or two. Still, the rest of the article is after the cut for those of you returning from desert islands. Captain America isn't a Hydra agent, and hasn't been for the last 75 years. Let's just get that out of the way first. The idea that this is anything that's even vaguely going to stick, that Marvel is going to take one of their top 5 most popular characters and turn him into a Nazi, is patently ludicrous. Just like there was no way Superman was going to actually stay dead or AzBats was going to take over the lead after Knightfall, there's no way HydraCap sticks. Any halfway-observant reader of Captain America: Steve Rogers #1 can see all of the places where this is being set up as a temporary status quo that will be undone through some combination of brainwashing, cosmic cubes, time manipulation, or some other comic book nonsense. But given that you're reading a comic book blog, you probably already suspected that. So, given that this is not going to be the new status quo for more than a few months, there are a couple of questions to ask: why are Marvel and the writer on the book, Nick Spencer, doing this, and why are people freaking out so hard about the idea? The second question actually helps to answer the first (Marvel is doing this because people freaking out about it has put the book as a trending topic on all forms of social media, as well as generated write-ups on both respected journalism sites and, uh, nerdy comic book blogs), but there's more to it than that. Beyond the "we'd like to sell books" answer, there's also the question of what a good Captain America story does, or, for that matter, what a good story about any character does. For Cap, the answer is generally to discuss some combination of the nature of patriotism and ideology, America's place in the world, the intersection of ideals and pragmatism, or what it means to be Captain America as a symbol. 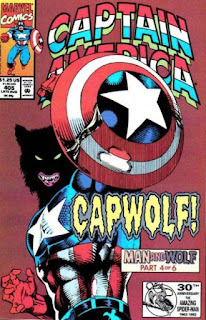 As with any character, some of these storylines have been duds, but many of them are classics, like the Brubaker BuckyCap era and Gruenwald's "The Captain" storyline. It's worth noting that both of these were also lambasted before their publication because they upset some strongly held notions of comic fans. As to the public reaction, that's certainly intended by Marvel, as I said before. They want to sell the book and stirring up rage is certainly one way to do it. There are two types of people that seem to be especially riled up, however: big Captain America fans and people who only know of the character as a symbol or from the movies. 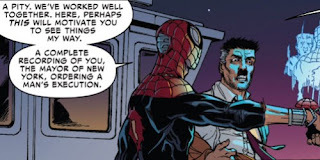 The big Cap fans seem to be incensed for the same reason that some Spider-Man fans hated Superior Spider-Man, that it's doing unpleasant things to a character that they love. Which I get, of course, but that takes a really short view. Even if you didn't like Dr. Spiderpuss, which I admittedly did, the post-Superior status quo gave us a much more adult version of the Peter Parker Spider-Man than the one that we went into it with, a character that understood responsibility like an adult (trying to make payroll for employees, using his talents and company for good, taking care of his loved ones' emotional needs as well as preventing supervillain attacks against them) instead of like a child (dropping the ball on his work responsibilities, never finishing college, squandering his mental gifts in favor of his physical ones). Similarly, I wasn't a big fan of the death of Captain America, but without it, we wouldn't have gotten a lot of really great stories with BuckyCap and new, fresh takes on the Steve Rogers version that came after. All in all, it was a positive, even though the death and return itself was pretty goofy. The other type of person that seems to be losing their minds over this is the very casual Cap fan, the one that likes the idea of the character or the symbol without knowing much about the character outside of the movies. I saw a conservative on Facebook yesterday saying it's a betrayal of a character that always stood for traditional American values, to which I could only laugh. He's been pro-civil rights, pro-gay rights, anti-nationalist, anti-death penalty, and any number of other positions that a defender of "traditional" (read conservative) American values would clutch their pearls over. It's easy to forget now, but the first appearance of Captain America, the one with the cover where he's punching Hitler in the jaw, was a very unpopular political statement being made. We hadn't entered the war, and a majority of the American public didn't want to, but this character was a call to action by two Jewish creators saying "we gotta do something about this guy." This is going to be another take on the character that has no chance to last, that isn't even intended to, but which can shed some light on both the character and his core themes. 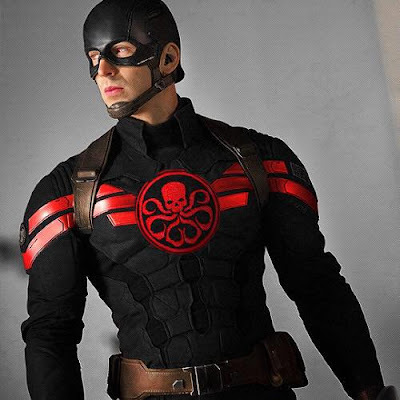 While Cap as a Hydra agent isn't good in the moral sense of the term, the idea of it has the potential to be good in the storytelling sense. So just sit back and enjoy the ride.